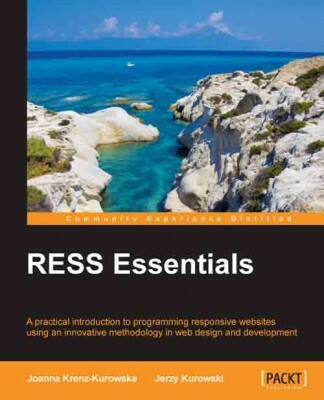 Last summer I had the honour to be asked to review a book title RESS ESSENTIALS (Packt Publishing). RESS (Responsive Server Side) is something I’ve been working on for a few years now; so I was keen to help out! The book is now published and I have a lovely little credit. Neat! I was really curious to see the publishing process up close. I was able to give the book a once over and offer some constructive feedback. The structure and organization of the draft review process was pretty tight! I regret that when the next draft came out I was completely unable to participate (work and baby commitments!). Phooey! Essentially this book is an overview of server side techniques of working with responsive sites. RESS comes from LukeW’s famous post on the subject. This book covers this in more detail, using examples. For example, one might use RESS to determine if a user was on mobile or desktop, then grab the include header for that context. Neat stuff! The book also covers some of the traditional RWD techniques with CSS and media. The publishers were kind enough to send me a copy of the book and I look forward to reading it again! Next ‹ Web Inspecting Source!